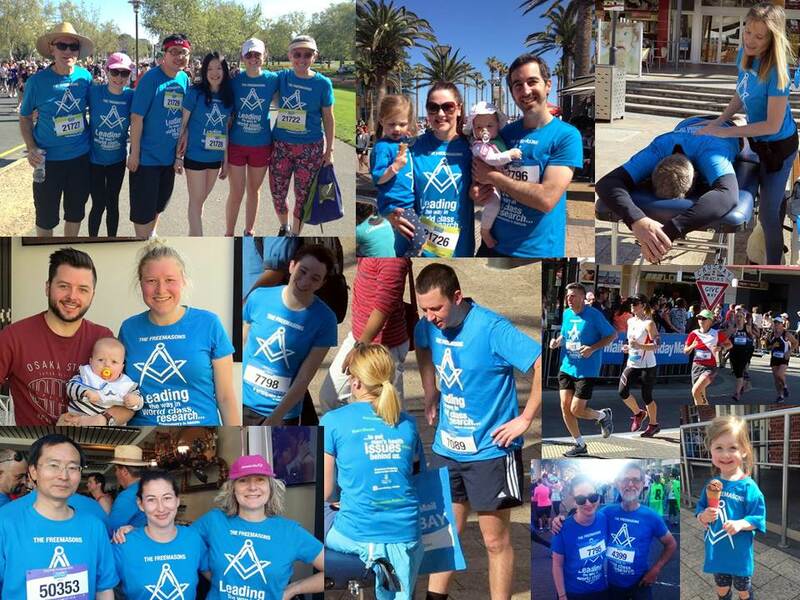 Members of the Freemasons, the FFCMH and family members literally took to the streets on Sunday 20 September for the 2015 City-Bay fun to promote Freemasonry in South Australian and in particular, its support of medical research at the Centre. Almost 60 runners and walkers participating in the 12km, 6km or 3km events donned the sky blue t-shirt carrying the slogan “The Freemasons – Leading the way in world class research to put men’s health issues behind us”. The t-shirts stood out well in the crowd, matching the sunny blue sky which made for a fantastic day. 12 km walking colleagues, post-Doctoral Research Fellow, Dr Kate Gunn and Professor Deborah Turnbull, both from the FFCMH and Deb’s daughter Anna, were interviewed by Nova FM radio, about the FFCMH. Thank you to Grant Law for coming up with, and organising, the event and to Robert and Leonie Clyne for arranging the t-shirts. We hope to see even more of you next year. This entry was posted in Events and tagged freemasons, marketing, partnership. Bookmark the permalink.